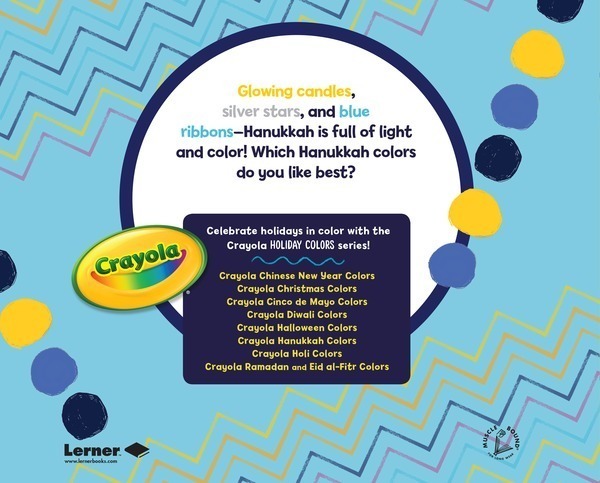 Glowing candles, silver stars, and blue ribbons—Hanukkah is full of light and color! Learn about the culture and customs of this eight-day celebration through vibrant photos and engaging text. 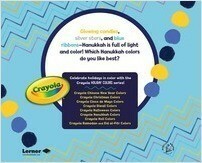 Crayola ® colors and a reproducible coloring page inspire readers to notice and celebrate the colors of their world. Robin Nelson's careers have always kept her surrounded by books—as an elementary teacher, working at a publishing company, and now working as a school library media specialist. But her favorite job is writing books for kids. She has written many nonfiction books for children. She lives with her family in Minneapolis.